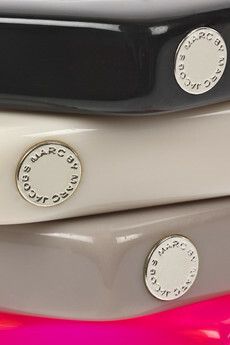 I am totally tempted by these Pop Bolt bangles by Marc Jacobs, they are completely delicious! OOh these are great! I wonder if they glow in the dark...? Those are fantastic for this spring!! I like them! 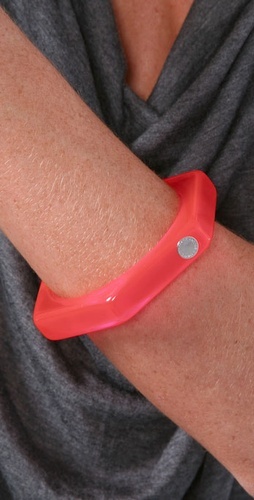 love the angular quality of these bangles... really great touch! ahhh how fun! love the colours...so summery! love 'em! perfect for summer.